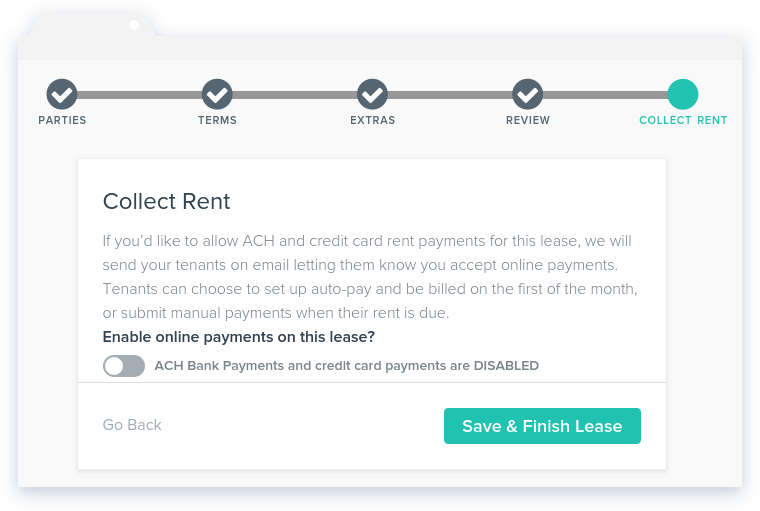 To create a new lease, click the Leases link in the top navigation bar, then click the Add Lease button. 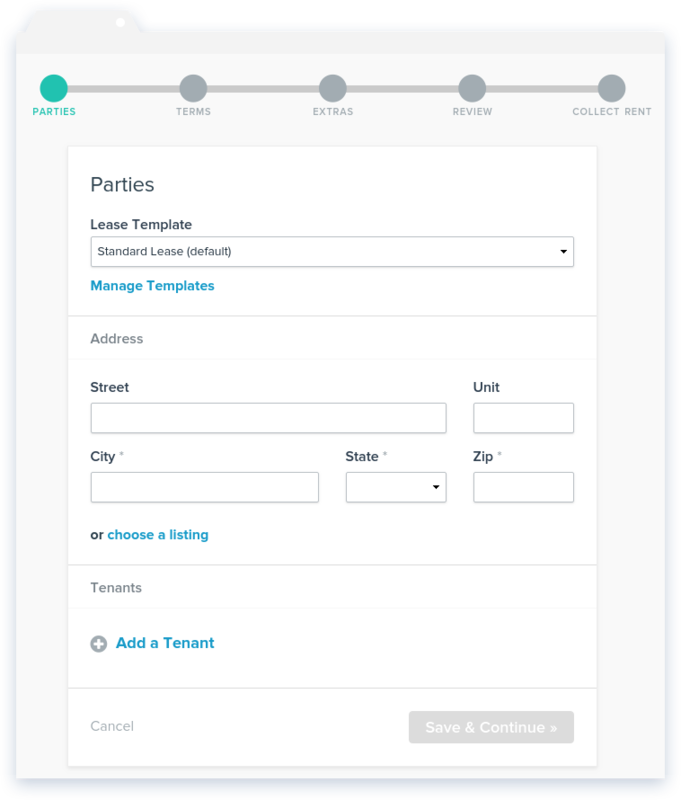 The first section of the Lease creation tool is Parties. Here you will choose the lease template you wish to edit and select which property listing to associate with the Lease. 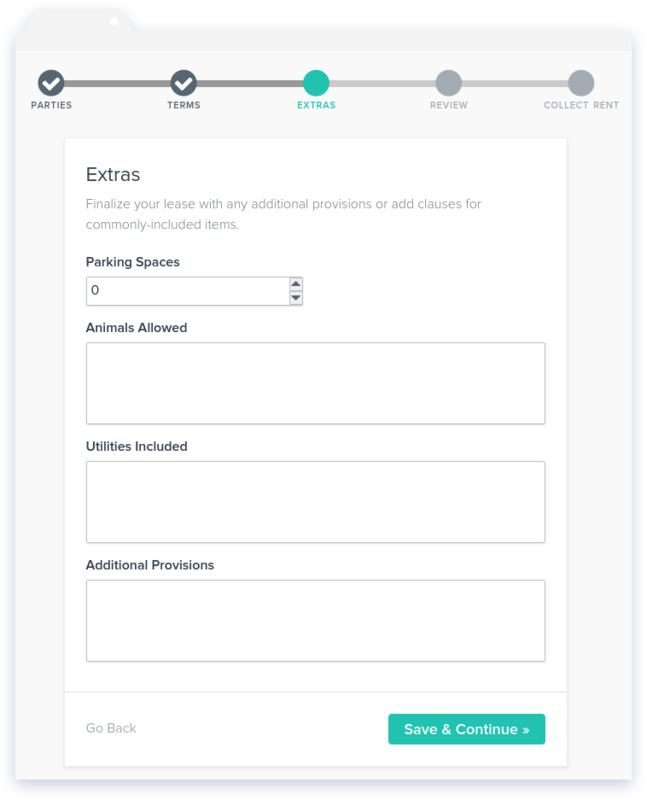 Choose the standard NowRenting lease or create a custom lease template. You can add multiple tenants to any lease. 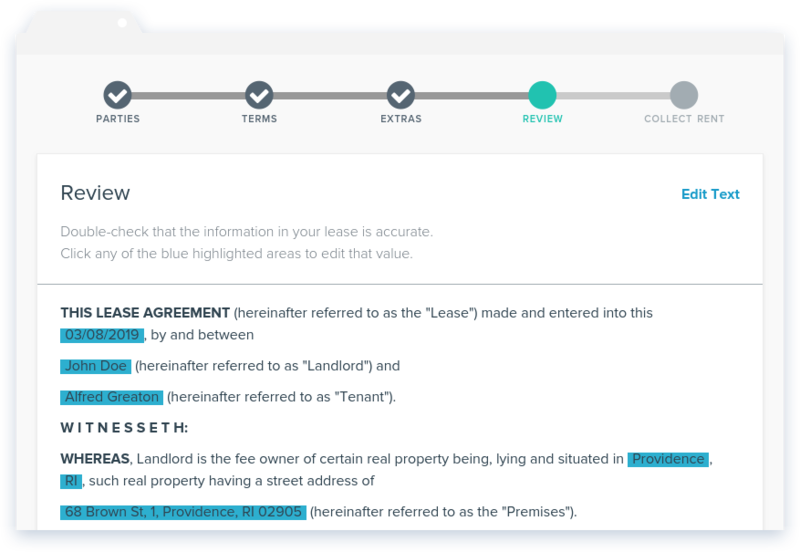 If the tenants you choose are already in the NowRenting system as Leads, they’ll be removed from the Leads page and added to this Lease. All of their information will still be accessible in the Lease Details section. The second step is to specify the terms of the lease. The terms you enter here will appear on the lease. Add any extra notes you want the lease to include. 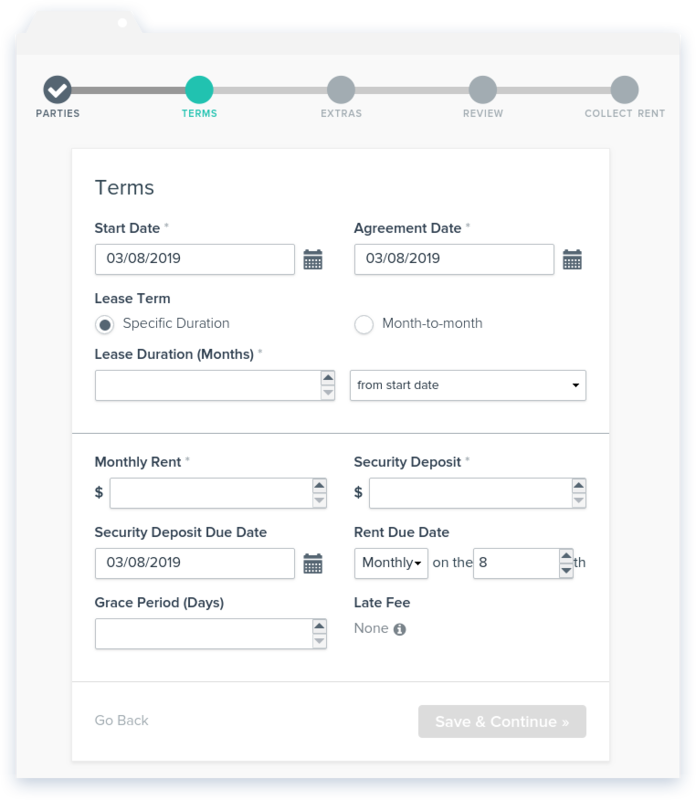 Review all the editable fields that appear on the lease. Click to change any incorrect values. Finally, choose whether to connect with Stripe to collect rent online. This will enable your tenants to pay rent through the NowRenting resident portal. 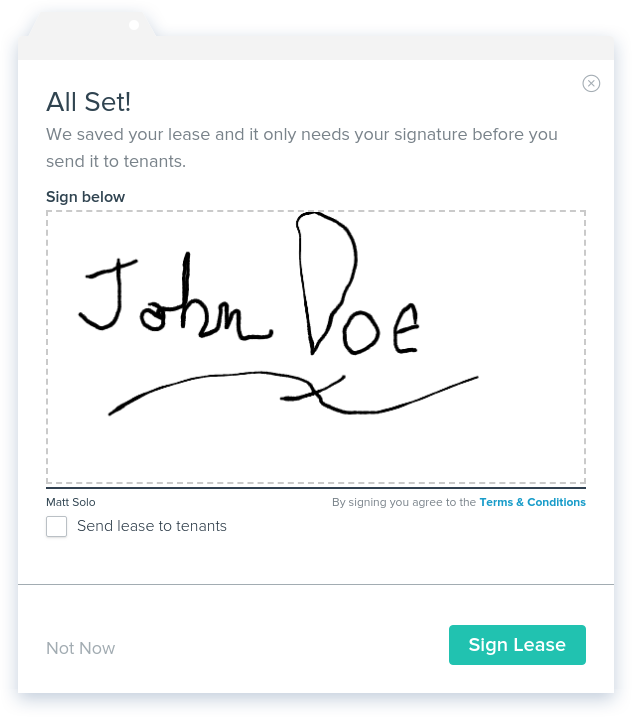 Sign your lease and send to the tenant(s). After you sign the lease make sure to send to your tenants!